Now that you have successfully completed your PADI Instructor Development Course and can begin teaching scuba, you will be qualified to train your students up to the PADI Master Scuba Diver level once you have completed your MSDT training in Utila. As a successful candidate of the MSDT program you will be a more employable scuba professional, showing your commitment to continuing your dive training as well as being prepared to help others to continue their dive education by having the ability to teach PADI Specialty Diver courses! If you have just completed the PADI IE (Instructor Exam), you can talk to PADI Course Director Diego about completing PADI Specialty Instructor Training and the Master Scuba Diver Training (MSDT) prep course. 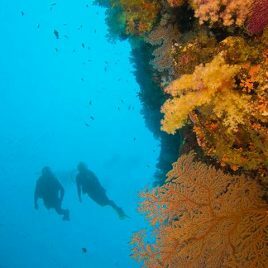 Take a look at our PADI Go Pro Package Deals. We offer a discount and free accommodation to our students who sign-up for multiple course packages. I thoroughly enjoyed my MSDT Course with Diego Frank at Underwater Vision, working with Diego was very rewarding!! Diego is a very professional Course Director and he has helped me broaden my horizons as a dive professional. 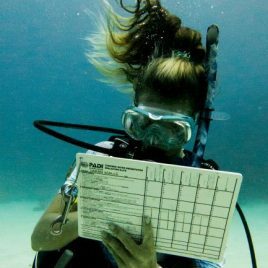 At Underwater Vision we offer a free MSDT Internship Program upon the completion of the MSDT Prep Program. The MSDT Prep Program will give you an edge and take you beyond what an IE graduate alone can do. 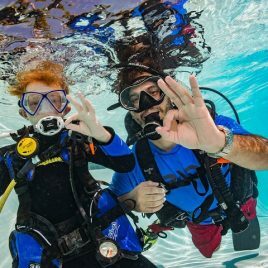 You will be more employable, have more options with what you can teach, and make your job more interesting for yourself, teaching what you are passionate about, gaining an instructor rating in five PADI Specialty Instructor courses. Going beyond the MSDT Prep Program, you are still a very inexperienced instructor. We offer you an optional free MSDT Internship Program which is invaluable for a new instructor to be able to team teach alongside our staff of dedicated and experienced instructors, learning everything from scheduling of a course, sequencing a course, practical nuances in handling potential problems, setting the tone of a course and awarding you a guaranteed minimum of 25 certifications in order that your MSDT certification will successfully be processed. 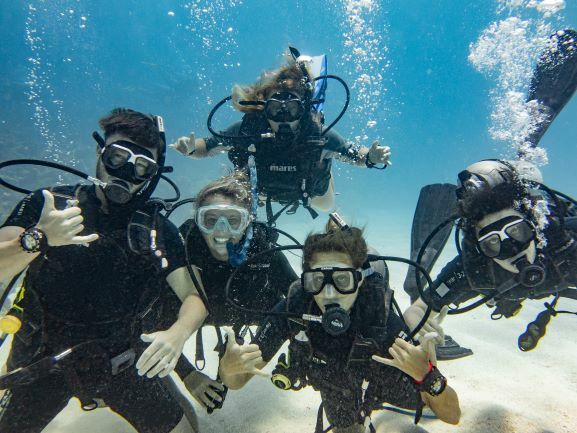 Underwater Vision’s staff of PADI Professionals are committed to your success. We will mentor you and allow you access to the certifications you need to complete your MSDT internship. 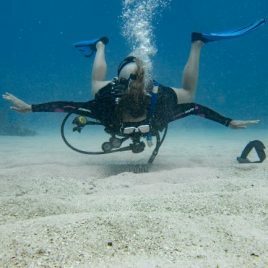 We are one of the busiest dive shops on the island of Utila and have PADI Open Water, Advanced Open Water and Rescue Diver courses which begin almost daily allowing you to earn your certifications quicker and more easily than anywhere else on the island of Utila. It is possible to become an MSDT with practical work experience. 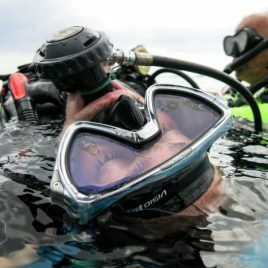 It is possible to find employment after you complete your IE and then after you get 25 certifications, you may apply directly to PADI to become an MSDT (involving a process of self-certification for specific specialty courses and having met PADI’s prerequisite dive experience). 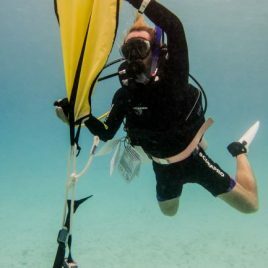 However, once you have completed the MSDT Prep Program with our PADI Course Director Diego Frank who will share with you many different techniques for success and under the tutelage of Underwater Vision’s experienced instructors, you will leave the island of Utila with knowledge, experience and most importantly the confidence to begin your career with a running start. Completing the free optional MSDT internship program will give you a leading edge in a competitive job market. 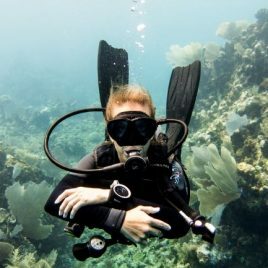 The MSDT internship program makes you more employable as you will be able to demonstrate that you have solid experience teaching diving with Utila’s best instructors, as well as the ability to teach at least 5 specialty diver courses. An Employment Workshop is also available for free to create or enhance your current resume. PADI Course Director Diego Frank uses his vast worldwide network of dive educators, business owners and online resources to aid you in your job search. The PADI MSDT program will also allow you access to some of the most exciting technical diving such as Side Mount and Tech Side Mount! Speak with PADI Course Director Diego Frank if you are interested in these available options! If you’re considering entering the realm of technical dive instruction, then the PADI Master Scuba Diver Trainer will be useful. You must be a PADI Master Scuba Diver Trainer to become a PADI Tec Trimix Instructor. 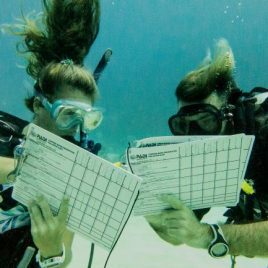 View the PADI Instructor Development Calendar here to plan your trip and the timing of your MSDT at Underwater Vision!